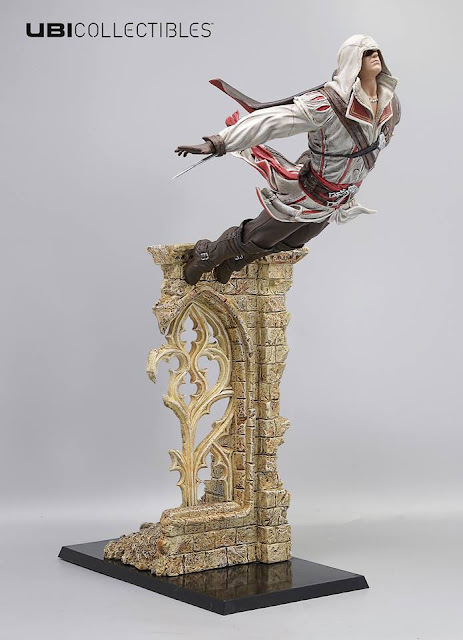 Some blog updates after a long time..
UbiCollectibles just announced a new Ezio figurine; a diorama of the famous Leap of Faith action from the games. Looks great! Amazed at how long it took for a 'Leap of Faith' diorama to turn up, but it's finally here. It's great to see UbiCollectibles releasing new figures of the Assassins, apart from the standard releases in the Collector's Editions. The Syndicate diorama and this Ezio shows that they are willing to be a bit more creative in their poses. Just a little worried how this statue will hold up after a couple of months, with a leaning pose like this. Hopefully they will be able to get it right or this will have to be re-named 'Leap of Tragedy'. I believe this is something in UbiCollectibles' line of dioramas after the Altair Bell one. 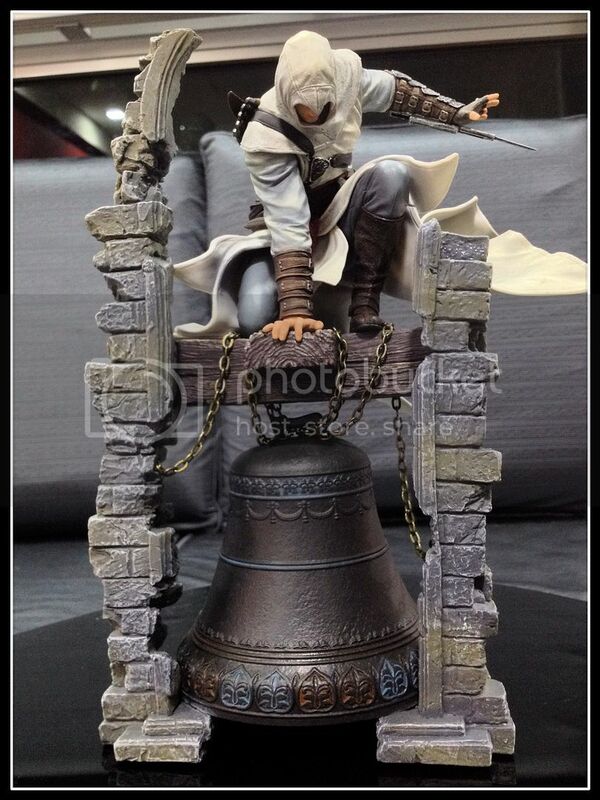 We already have the Ezio Bust and now this diorama.. Hoping to see what they come up with next!